When I started blogging about 2 years ago, someone left a nice message for me in my comment column. An outstanding baker, this lady had commented how happy she was to see a fellow Singaporean blogger bake French pastry when most of the time, the local food blogging scene are only limited to chiffon cakes, brownies, muffins.... I felt flattered by the comments but at the same time, an uneasiness had also set in. As much as I enjoy experimenting with macarons, madeleines and cupcakes, I also know that these have never been part of my core heritage. I grew up in a humble Asian household where we ate more kuehs than pastries. It would be sad if our generation and the younger generations that follow would only know how to bake macarons and cupcakes. That is why I was really thrilled when I was able to get a place in Valerie Kong's Pau Class at Shermay's Cooking School. A hands-on class, we got to prepare our own Pau dough from scratch and we also learnt how to roll and pleat the dough - a skill I had desperately wanted to acquire and improve. Valerie's simple and clear instructions was easy to follow and quite a few of us were suprised that we were able to get the hang of it pretty quickly. 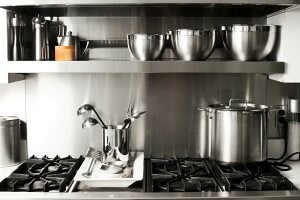 Emboldened by the session, I decided to compare the different Pau recipes I have in my cookbook library. This dough recipe that I am sharing here is not Valerie's recipe. This is a Mantou recipe that I found in a Hong Kong Dim Sum cookbook. The amount of yeast and baking powder for this recipe is much lower than Valeries' and I was intrigued by the addition of milk to the dough. What was missing from the cookbook was clear instructions. So the newly acquired knowledge at the hands-on Pau class was really valuable. I am very very pleased with this recipe - an easy dough to handle, the buns turn out very soft and fluffy. I had used Valerie's Chicken filling for this exercise so I will not publish the recipe here. However, with a dough like this, one can easily wrap it with one's favourite filling - be it sweet or savoury. I would be proud to present these Pau to family and friends. I know that many will be pleased for these are flavours and food that we have grown up with. P.S. : If you are interested to learn about Pau making, look out for Valerie's classes at Shermay's. I heard that all the Pau classes are now full so the earliest that these will be repeated would most likely be next year. So you may want to enquire with the school. P.S. : I am also hoping that this would qualify for Edith's Heritage Food Trail event. Somewhat unorthodox as it does not really celebrate my Hainanese heritage in particular but I do hope you can join in the fun at Edith's. 1. Place all ingredients into a mixer and blend until smooth at low speed. 2. Ferment for 10mins at room temperature. 3. Blend in mixer again for 5 mins. 4. Divide the dough into pieces of 19g each. Roll out to form a round wrapping of about 2 inches in diameter. 5. Place filling in the center of the wrapping and pleat the edge to seal the bun with a round top. 6. Proof Pau at room temperature for 45 mins. 7. Steam Pau over boiling water for 15mins. Anyway, the Pau u made look much much nicer then mine. I guess I need more practice. The lady is indeed right! You step out of the comfort zone for sure. The last time i made pao, it was sooo bad that I could only have the filling(which my grandmother made). This post is tempting me to try it again! @ JL- Good to find someone who has attended the class. Yes, practice is key but she has made it so easy to understand the pleating and rolling technique. I must try your pau recipe. I have never used milk before. This may be reason it is so soft and fluffy :) Thanks for sharing the recipe. Love your photography skill! I grew up eating plenty of paus. Those days, only can afford red bean pau. :) Thanks for participating in the heritage food trail, really love to see a Shanghainese dish if possible. That is if your time permits. Thanks for the support my friend. Appreciate it. Paus is definitely an excellent choice for this heritage trail.  I sure chomp down plenty of them while growing up... Definitely a childhood favorite. Would love yo try ur pau recipe...soon! Tks! 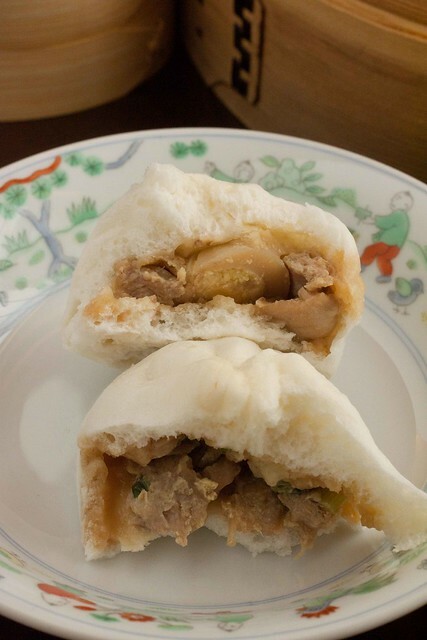 Here, some Hainanese coffeeshops sell Hainan Pau with different fillings. They are yeast raised paus, with no baking powder involved. It gives a chewy and non sticky feel to the palate. of which differs from Cantonese dimsum shops that offers paus raised with lots of baking powder that sticks to the teeth. These look so professional and make me so homesick for Asia where pau's are available at nearly every street corner. I'd be useless making dough, won't even attempt, I'll just admire yours. I also enjoyed reading your fans' chit chatting. I love the way you pleat your pau! It's so pretty! I've try pleating before, it wasn't easy to achieve this result! I love paus...I simply love it. And you chicken pau looked so good! Thanks for sharing the recipe! Jane- If you get the chance, try to sign up for Valerie's class. I struggled with the rolling and pleating too but Valerie had made it very simple to understand. Your paus looks so soft and fluffy and the pleating so perfect...my paus always ended up with more dough than filling! Yours have such a generous portion in them! I think you've mastered the art of making pao! It's so light and fluffy!! Shall be making my own bao again soon. 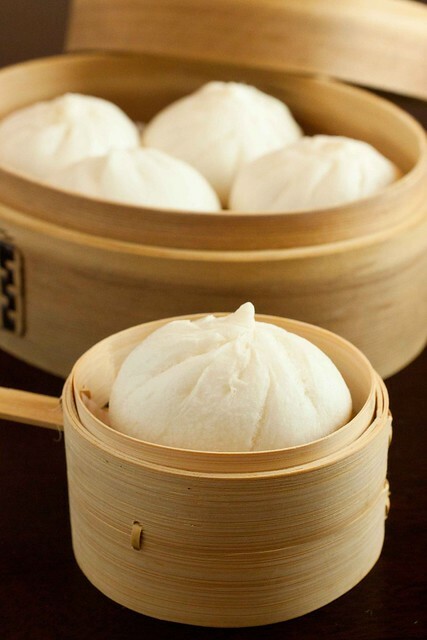 your baos look so delicate! Homemade made paus are always the best, your paus look so soft and good. 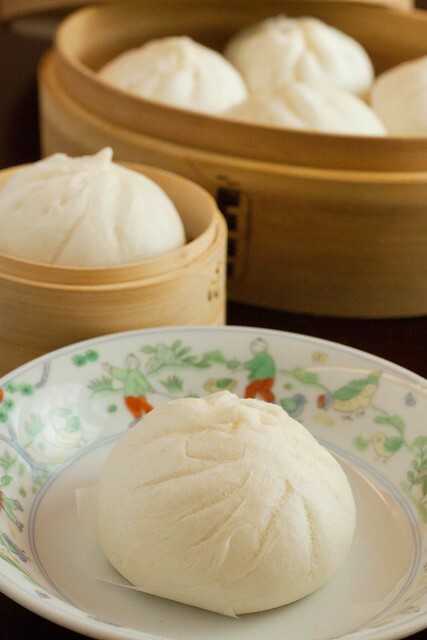 Shirley, your timing is absolutely perfect as I am planning to try my hand at making steamed char siew pau from scratch. You steamed bun looks great and fluffy, so I'm bookmarking this. Love these chicken pau.. looks really pretty and I can tell it's fluffy! 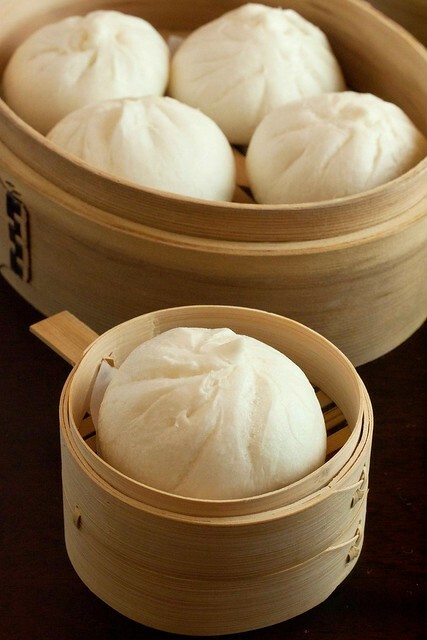 They say the art of making great tasting pau is in the kneading of the dough. I like vegetarian pau too. They're tasty. I just made some chicken paus today too. But the pleating awful! I definitely need more practice. Yours look so pro. :) great job there. I love making pau- it's really fun trying to pleat it! Your buns are pleated so nicely! :D And your mini steamer is so cute!! What is hong kong flour? All purpose, bread, cake flour? Hi Emily- Hong Kong flour is actually a very light and soft flour. The gluten level is low and I have been told that it is also very white. If you are in US, the better chinese grocery stores in Chinatown should have it. If not you can try to find a soft flour which one typically use for chiffon cake... in the US, I think the equivalent is Softasilk? Hi, I'm newbie to making pau, can the dough be mixed by a breadmaker instead or a hand mixer? Too tempting recipe not to try, just have to ask. Many tks. @Christine- Yes, you can. I knead the dough with the bread hook at low speed (2) on my kitchenaide for 15mins. You need to knead until the dough becomes smooth like a baby's bottom! You will know when you feel the dough. When you are in doubt, you most are not there yet. It is really very very smooth. hi Shirley! This really looks fabulous. Will try this when I have my SG/HK food cravings! I wonder must the pork or chicken fillings cooked first before wrapping. If the fillings are not cooked prior to wrapping, will the raw meats cook after the paus have being steamed? Hi Priscilla- the raw meat will cook after the paus are steamed. Not to worry. These look amazing! This will be the next new recipe I try. Love your site! This look absolutely amazing. I'm wondering how you activate your dry yeast since there is no warm water in the recipe? @Mechow: The milk replaces the water. This is indeed a small recipe. It yields about 12 small paus. @Anonymous: If you use the packet type instant dry yeast, you can just add the dry yeast to the flour without dissolving it in water first. However, as good practice, I usually mix the dry yeast with a portion of the milk to make sure that it is 'alive' before I mix it with the rest of the ingredients. Thanks for sharing. I have been trying to make Pao just like those we can have it in S'pore or M'sia. I always love the Lotus paste Bun! Is that the Lotus paste bun dough receipy is the same as the chicken bun that you listed? Hi Carol, yes, the bun dough recipe is the same. Hi there! I'm so attempted to start on the recipe right now but where can i find Hong Kong flour? is it those low gluten flour at the chinatown markets? Does this smell like yeast after it comes out because I dont like the smell of yeast in the buns, I tried 3 times steaming, and baking buns, they all turn out smelling, and tasting like yeast.